About / Sobre From Madrid with Style! VFNO Madrid is back this year on 6th of September! Save the Date! 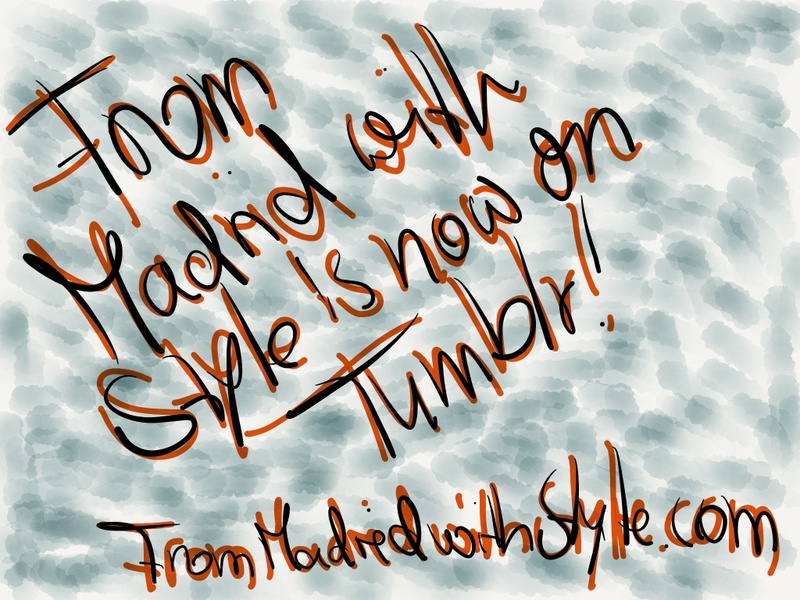 Copyright From Madrid with Style © 2012. All rights reserved. Do not use or reproduce without permission. Click on the link here to get the lasted Streetstyle Fashion from Madrid! Posted in From the Streets of Madrid /De las calles de Madrid. I have been going through the fashion book of Elle España March and found some looks for Spring/Summer 2012 I would like to share with you. Many of the looks I can put together from things in my closet but some things I regard as “new classics”! 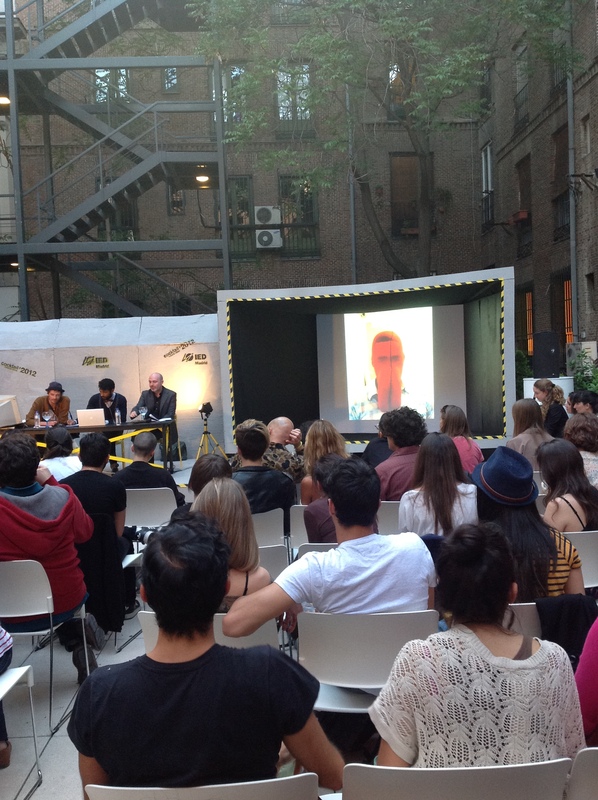 Yesterday Henrik Vibskov was giving a talk at IED Madrid, the design school in Spain’s capitol. For all those who never heard of him, Henry Vibskov designs in Copenhagen, Denmark. He has three stores around the globe in Copenhagen, Oslo and New York City. He graduated some 12 years ago from St.Martins in Mens Wear and describes himself as a worker on the body. In his talk he expressed his love for textiles by showing us some of his exhibitions in Amsterdam and Paris as well as how creative a designer sometimes has to be. 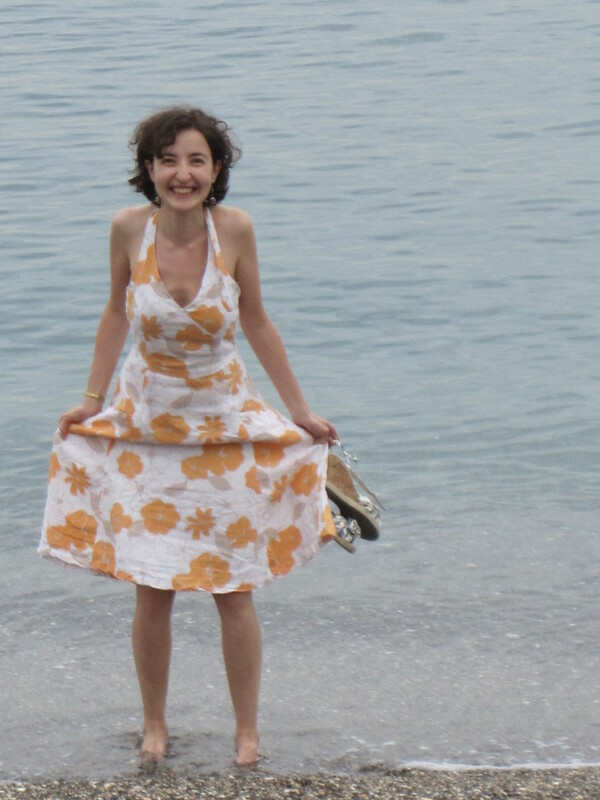 One of the most important points in a life of a designer is that you have to be prepared that not everything works out perfectly, things get lost in customs or disappear otherwise. At his store opening in NYC he ended up with 5 people trying to fix the store where 700 cool New Yorkers were expected in 5 days and all his stuff for the store was stuck in customs for two weeks. During the “Semana Naranja” the embassy of The Netherlands organizes many different activities in Madrid. 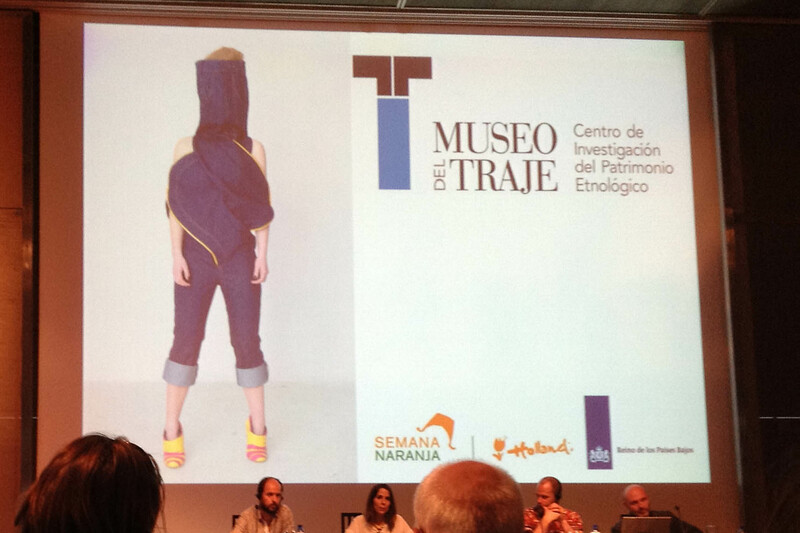 One of them took place yesterday at el Museo del Traje. 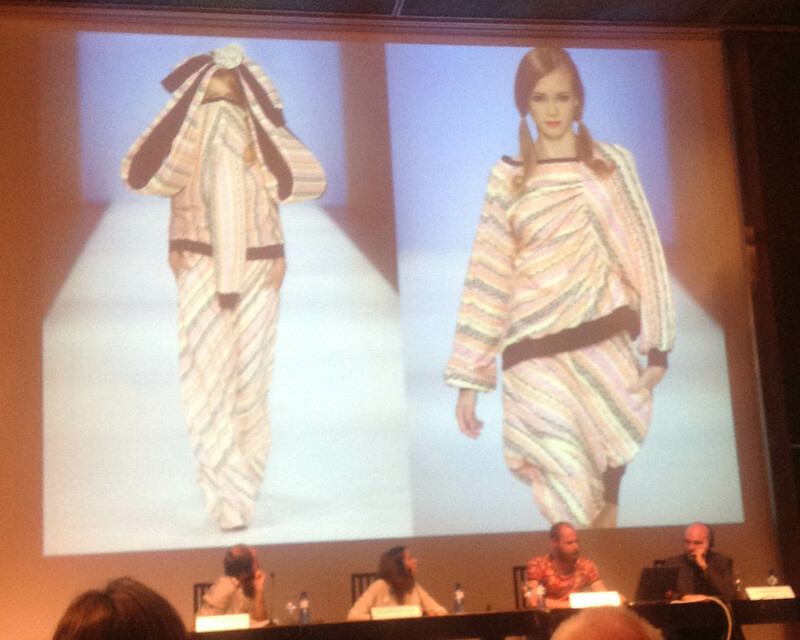 Antoine Peters, one of the most important young designer from Holland gave a talk about his work and vision of fashion and Carlos Diez would be telling about one exceptional organisation which is working with people in Africa. The general topic of this year was “Quality of Life” and the concept of sustainability in fashion was explained in this discussion, which was open to the public. Antoine Peters was talking about his projects like the sweater for the world, a one-size sweater which would fit everybody. Other projects like “Fat people are harder to kidnap” and “Making an Elephant out of a mosquito” promise a very creative touch of the collections. Carlos Díez told us about Edun.com, a fashion brand, created by U2′ Bono which is working together with people in Africa and giving many women there the opportunity to make a living. Other topics were “Ethical Fashion Networks”, “Health”, “Education” and “Wealth”. 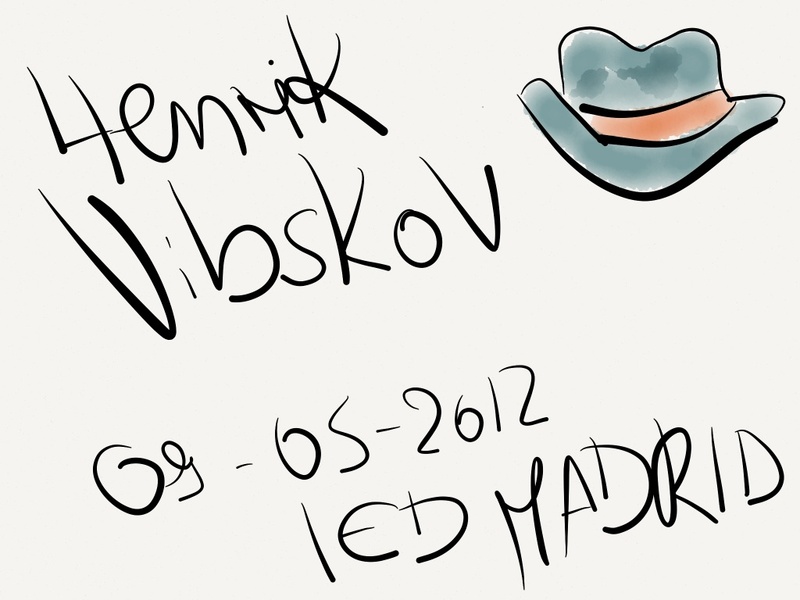 I just tried the new App Paper for Ipad and made some sketches about the Blog! It is really easy and for those who want to be creative with your Ipad it is great fun! In a city like Madrid with its traffic and saturday shopping crowd, places inside the city where you can escape the outer world are priceless. The garden cafeteria of the Museum del Romanticisimo is one of the most elegant I have seen so far in Madrid. The peaceful atmosphere and beauty are like therapy for someone seeking inner harmony. 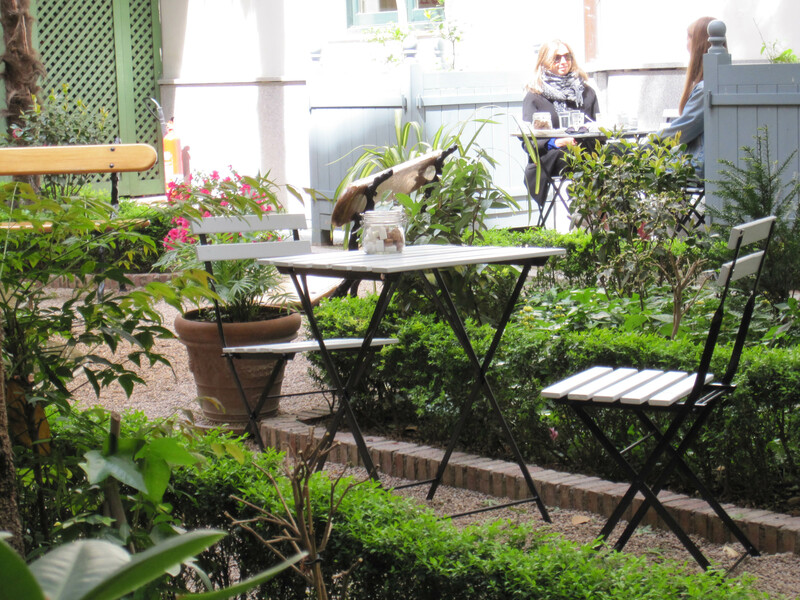 This cafeteria and its garden are one of the few places in Madrid where you want to come back again and you will never have enough of.